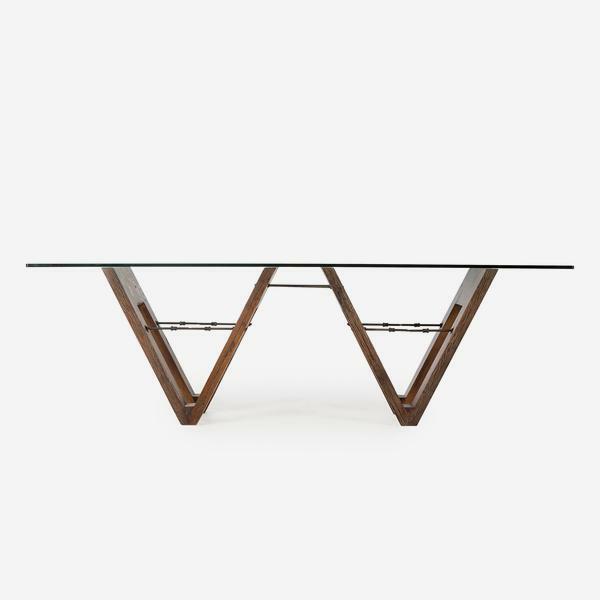 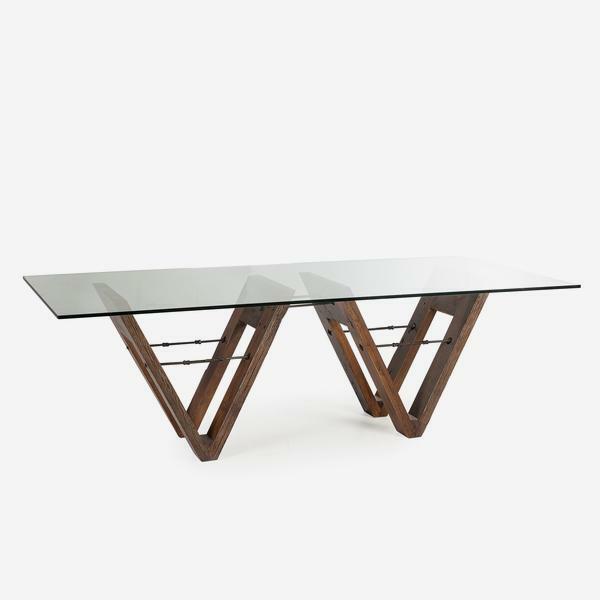 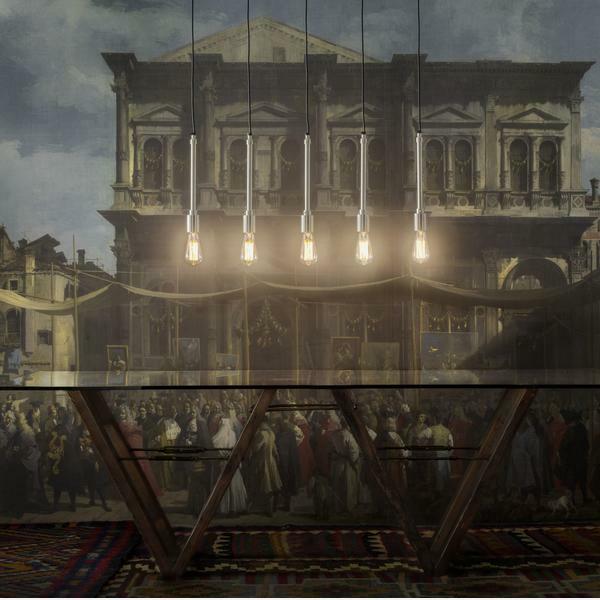 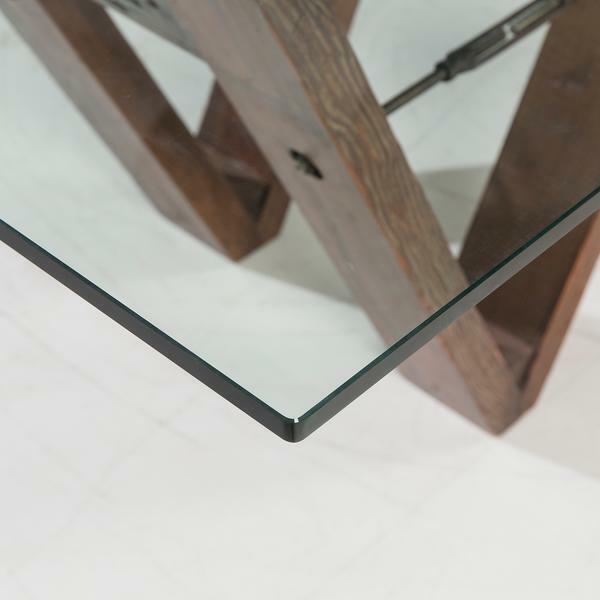 A clear glass dining table featuring twin V-shape reclaimed wooden legs. 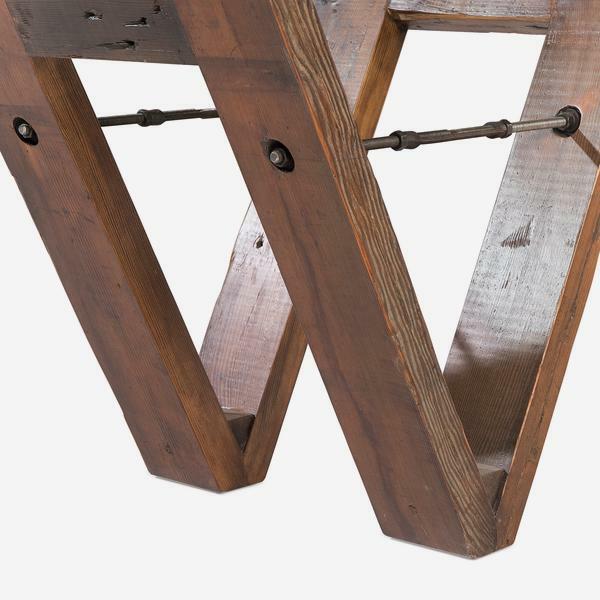 Vernon is as industrial as they come, displaying sculptural shapes in mixed media materials and iron detailing for strength. 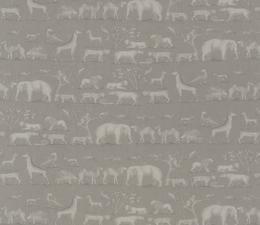 Perfect for a loft conversion with framed vintage posters and casual, travel-inspired fabrics.